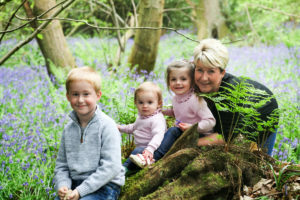 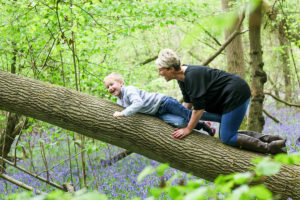 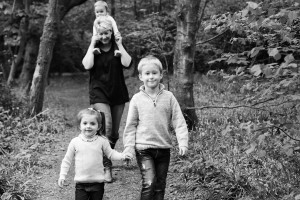 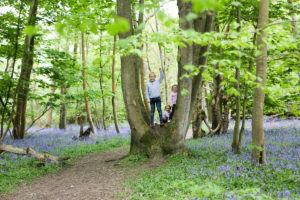 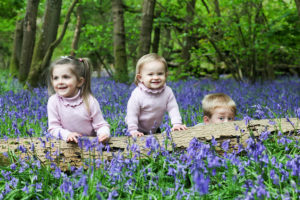 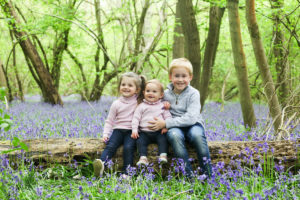 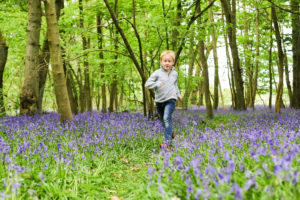 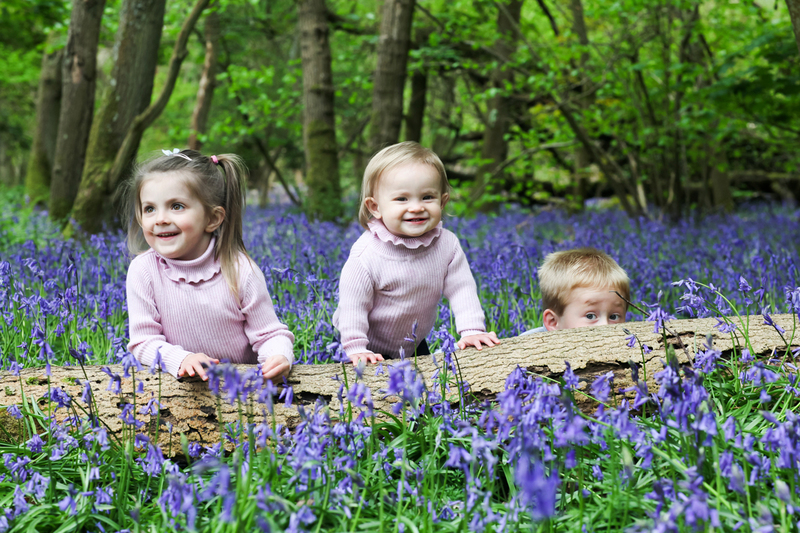 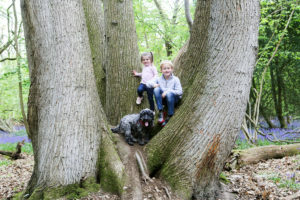 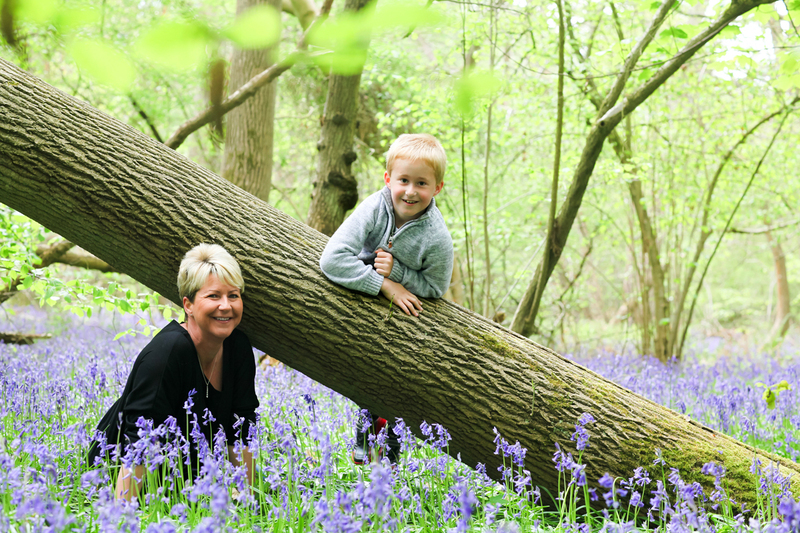 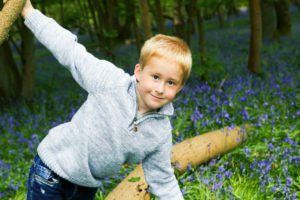 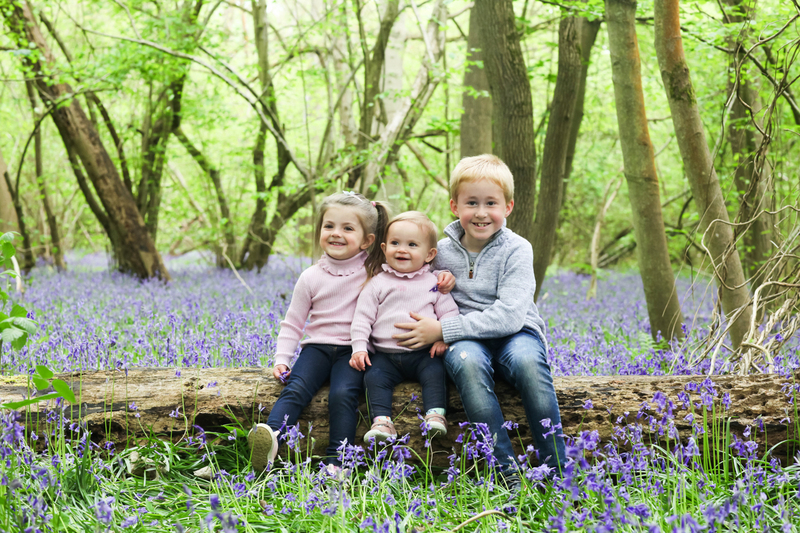 Sandra brought her son, daughter and two grand daughters to the bluebell woods in Eversley to have a special photoshoot with the three children. 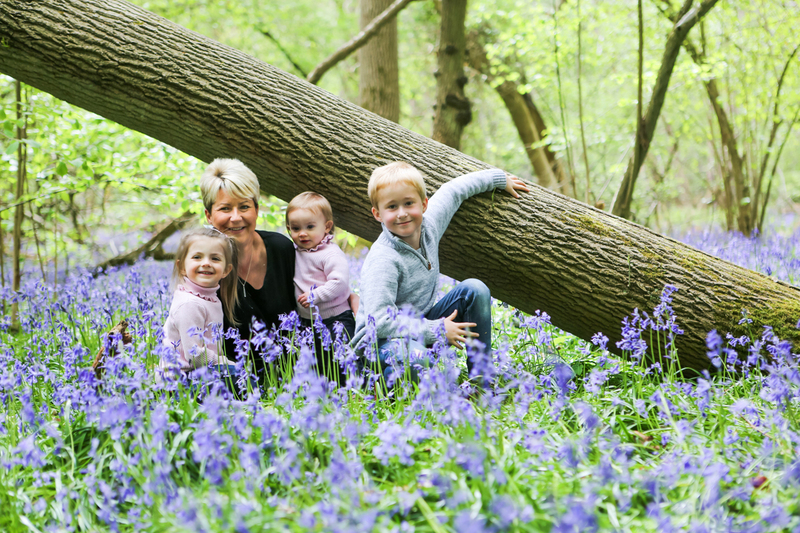 It was a beautiful sunny afternoon and all three children were having a lovely time climbing trees (Sandra did too) and sitting amongst these beautiful flowers. 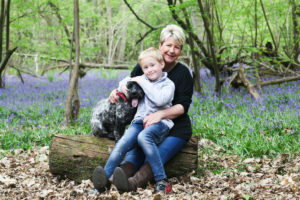 I met Sandra when I donated some of my time to the Eversley Hall Christmas fund raiser and since then we have built a special working and social relationship. 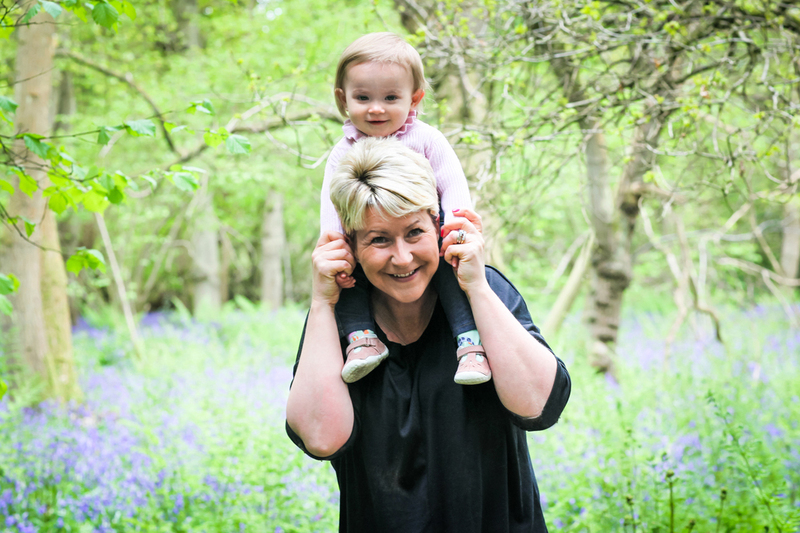 It’s amazing that when you give some thing away (in my case, a photoshoot, dancers performing in the show and 100 cup cakes…heehee) you gain so much more back. 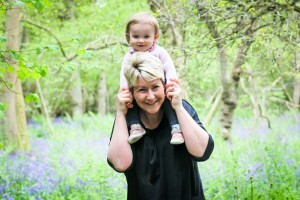 A lovely friend, her some dances with my street dance group now and her granddaughter will be in my daughters class at school. It made me feel so good to give something to my community, but I feel even more rewarded to have met such a lovely family. 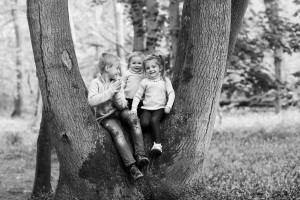 Long may our friendship last.